Shari C. Williams serves as the Community Partnerships Manager for Detroit Future City (DFC). In her role, Shari works to improve and manage the operational processes of the organization’s programs and projects. She also helps lead the development and enhancement of the Field Guide to Working with Lots mini-grant program, informing Detroiters about the benefits of the program in the city’s neighborhoods. Shari has extensive experience working in community engagement and development in Detroit. Before joining DFC, Shari worked with Focus: HOPE as a family and community partnerships manager, where she facilitated collaborative relationships among parents, the community, and the organization. Her responsibilities also included developing parent leadership and managing the Parent Engagement Fund. Additionally, while at Focus: HOPE, Shari served as a neighborhood network site specialist, a community education outreach coordinator, and a community safety technology coordinator. Shari has also served as the bus campaign coordinator at Transportation Riders United, where she assisted with the organization’s annual Detroit Department of Transportation’s Bus Campaign Report in 2012, leading the Bus Timeliness campaign and developing its first customer service evaluation effort. 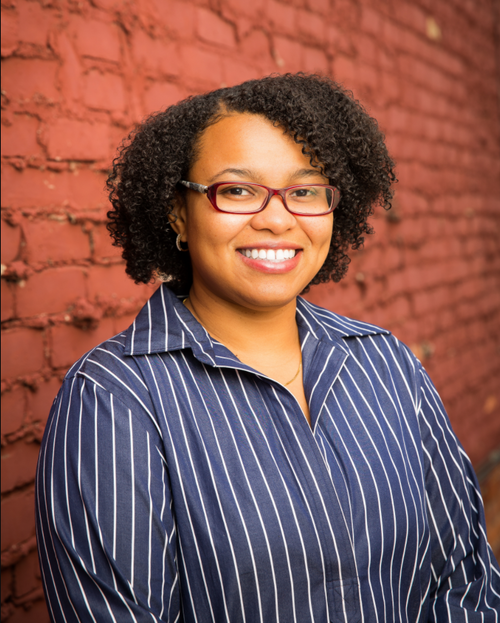 Shari has a master’s degree in urban planning specializing in community and housing development from Wayne State University, and a bachelor’s in interdisciplinary studies in social science specializing in economics and public policy from Michigan State University. While at Wayne State University, she co-founded the Black Student Association in Urban Studies and Planning, which aims to build a network of urban planners for minority students in the state of Michigan.